June 13, 2015 will be a date to remember! An amazing show for the Forlegd family! 34 sealyhams entered, judged by Mr.Stuart Plane. 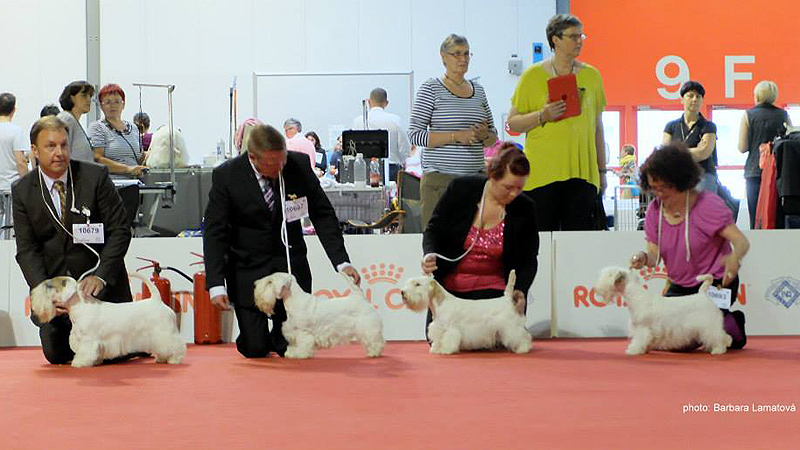 Second year in a row Forlegd Yuppie Moto Moto became WORLD WINNER and BEST OF BREED! 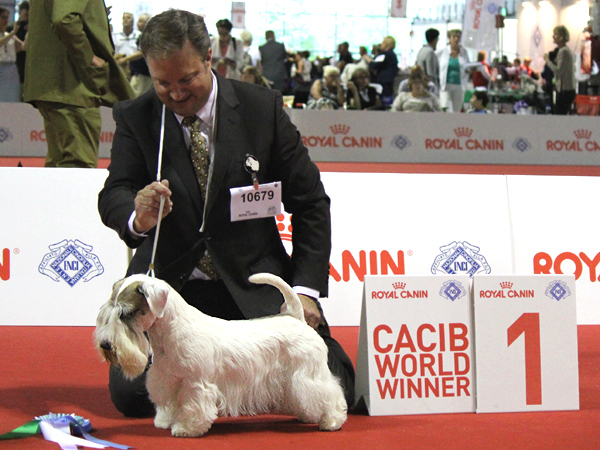 His mother – Forlegd Te-Anau – VETERAN WORLD WINNER! Forlegd Kennel presented by Forlegd Te-Anau, Forlegd Yuppie Moto Moto, Forlegd Yadda Yadda Gia and Forlegd Top Notch Tiffany Case was chosen as the BEST BREEDERS GROUP out of 3 presented kennels! Forlegd Top Notch Tiffany Case, in junior class was 2/7! Forlegd Yadda Yadda Gia in strong champion class 3/4! All Forlegd successes would not be possible without the most wonderful people around us, those who take care of Forlegd kids everyday and those who support us with great friendship and top handling skills. BIG Thank You to Irina and Igor Kononenko, Jenny Palmkvist, Gunilla Roman, Romina Blättgen Wisniewski, Stefan Wisniewski, Elena Sharapova, Sally Sweatt and last but not least – Geoff Dawson! 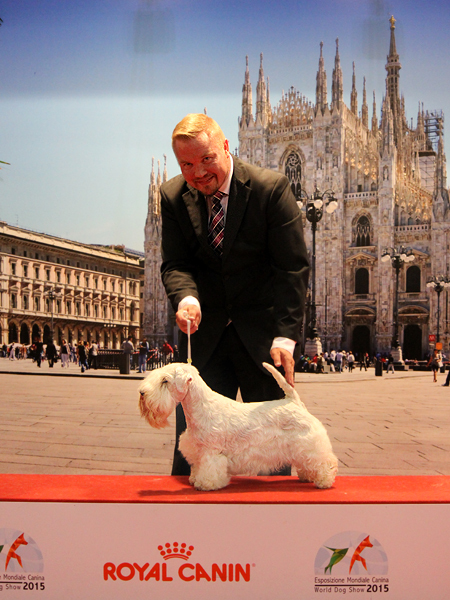 Next Post European Dog Show – one more reason to be proud!